These photos were taken inside Prince Kung’s (1833-1898) palace and garden (once called Gongwangfu). This palace is in Beijing’s Beihai district. Prince Kung was Emperor Hsein Feng’s (1831-1861) younger brother. As Inspector General for the Emperor of China, Robert Hart, known as the Godfather of China’s modernism, lived in the same hutong that Prince Kung lived in. The Forbidden City was on the far side of Tiananmen Square. Robert Hart, the main character in “My Splendid Concubine” and “Our Hart”, often met Prince Kung in this garden. After 1950, for several decades, this palace and the garden became a communal home for many Chinese. In recent years, the garden, considered one of the best in China, was renovated and is now a tourist attraction, which attracts thousands of visitors daily. To design a proper Chinese garden one must build a big place in a small space. 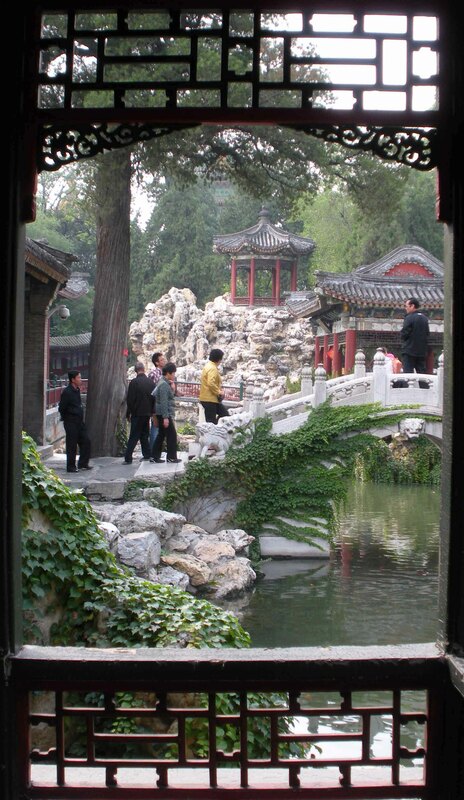 Prince Kung’s garden and estate is surrounded by a high wall and outside is Beijing. Once inside, it is easy to forget that outside the walls is a crowded city. It was also easy for the Qing (Manchu) royals to forget about what was happening throughout China. To subscribe to “iLook China”, look for the “Subscribe” button at the top of the screen in the menu bar, click on it then follow directions. This entry was posted on Saturday, June 26th, 2010 at 16:00 and is filed under China, Chinese history, history, tourism. You can follow any responses to this entry through the RSS 2.0 feed. You can leave a response, or trackback from your own site. I took those photographs with my digital camera inside Prince Gong’s garden in 2008, and I’ve never been to Beihai south of Guangxi. 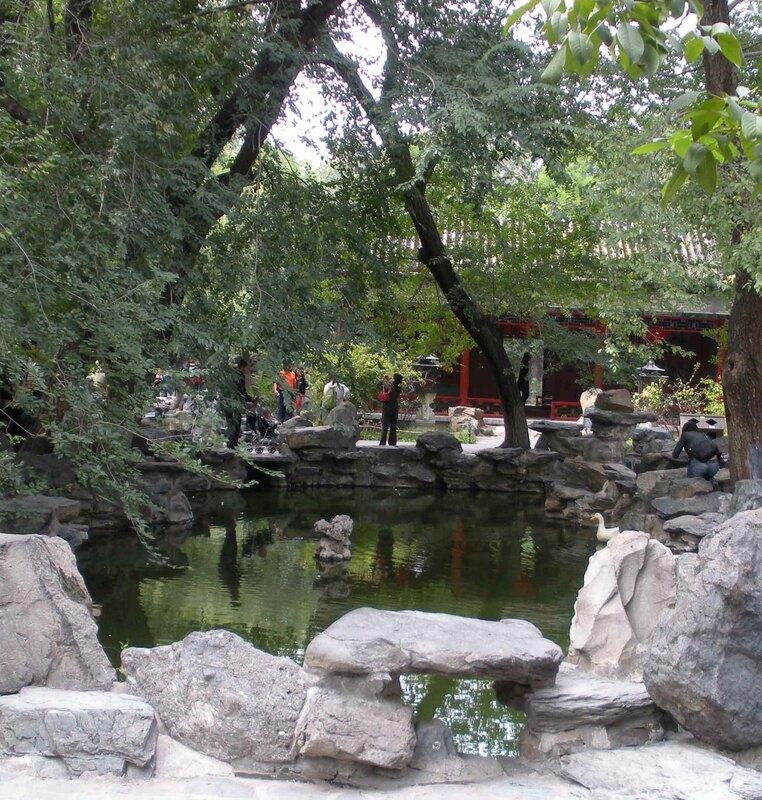 Maybe there’s a copy-cat garden in Beihai, but for sure, the one in Beijing was first. 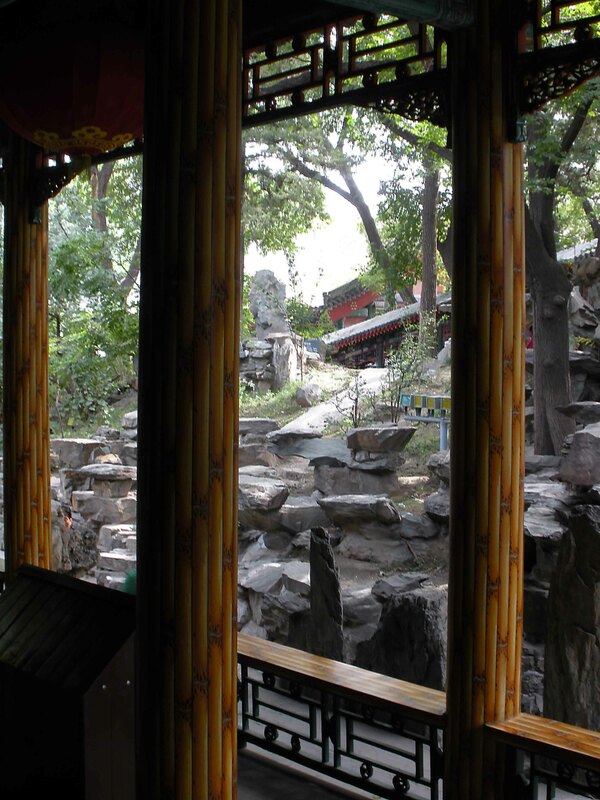 The Prince’s Garden I’m talking about is in a Hutong near the famous drum tower. There are bycycle rickshaw men in the Huton who are like taxis. One of them should be able to take you to the right location. The Drum Tower I’m talking about is on one side of Tiananmen Square and The Forbidden City is at the other end. We paid one to take us around the Hutong and there are many mansions that are now tourist attractions. There’s a lake too and around the lake are resteraunts and night clubs with live entertainment. Yes, good comparison. If we ever get the chance to spend some time in Beijing I think I’ll do a bit more research before committing us to the mainstream tourist agenda. Be my guest. One day, I hope to return and visit this garden again. 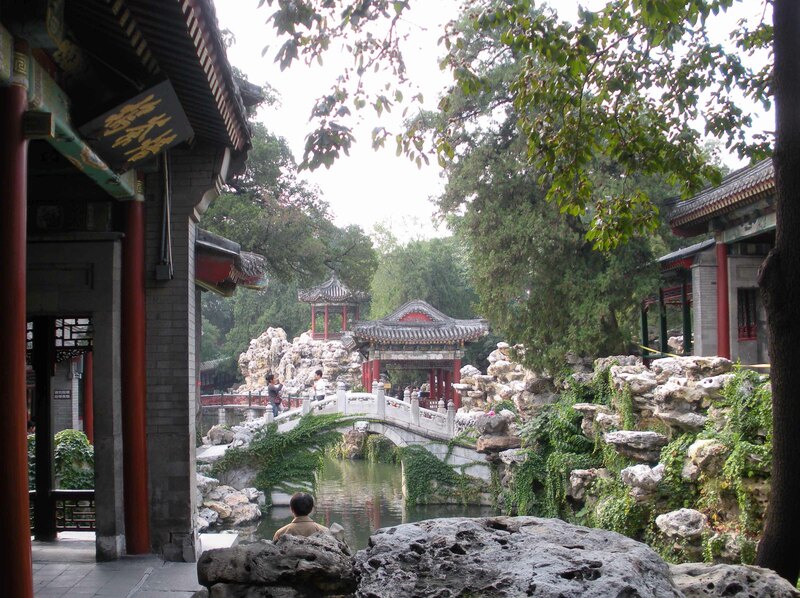 Compared to the Forbidden City, “The Prince’s Garden” has warmth and calms. I love Chinese gardens, small bridges, and the way the Chinese frame things so beautifully in wood. The top picture just hits the spot for me.